We at the London Medical and Aesthetic Clinic are one of the leading UK Clinics that offer the Obagi Skincare treatment. The Obagi Nu Derm Skin Care Rejuvenation System is the number one prescribed treatment in the UK for erasing uneven colour and reducing wrinkles. It works by stimulating collagen and elastin like no other creams or lotions. 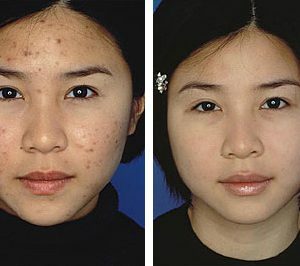 By utilizing the most effective treatments for hyperpigmentation, the Obagi Nu Derm System helps skin look younger and healthier. Unlike other skin care products that only treat the surface, the Obagi Skin Health Restoration System addresses the root of the problem and works at the cellular level to correct surface discoloration and blemishes. This product stimulates cell renewal and brings back the glow and softness of healthy, younger-looking skin. Obagi Nu Derm combines a skin care product with a day moisturiser, eye cream and spot fader. Utilising all four products ensures maximum skin rejuvenation. 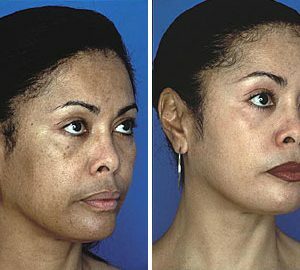 By stimulating skin cell renewal, improving circulation and rebuilding collagen, the unique Obagi system breathes new life into unhealthy skin. It works using a four phase transformation.. The Obagi range is a skin care system that corrects surface discolouration, blemishes and stimulates cell renewal. Obagi also a range of products which suit normal to dry skin types and sensitive skin types also. Our clinic is delighted to offer aesthetic skin analysis consultation with one of our aesthetic therapists. The appointment is usually 20- 30 minutes in length and provide the practitioner with the opportunity to examine the skin thoroughly and discuss the patient wishes and aspirations, after which the therapist can give a complete personalised regime to help achieve best desire results. The Obagi Nu-Derm System unlike traditional skin care products that only treat problems on the surface of your skin, work at the cellular level. Working at this level takes the knowledge and guidance of a specifically trained aesthetician and doctor supervising a medically prescribed Obagi skin health restoration system.. This system helps to correct surface discoloration, blemishes, and stimulate cell renewal to bring back the glow and softness of healthy, younger-looking skin. By stimulating skin cell renewal, improving circulation and rebuilding collagen, the Obagi system breathes new life into unhealthy skin. In as little as six weeks, you will begin to see a difference. Your healthy skin will be smooth, clear, firm, resilient, naturally moist... beautiful. Prepare- Removes impurities and adjusts pH to prepare your skin for the optimal penetration of theraputic ingredients. Correct - Repairs damage to skin cells, correcting hyperpigmentation, uneven skin tone and roughness, enhancing the penetration of ingredients. Stimulate - Repairs damage to deeper layers of your skin and restores elasticity by enhancing collagen and elastin production. Protect - Protects newer, healthier skin and prevents further damage from harmful UVA and UVB rays. Each action area has dedicated products. By following the easy, numbered steps described below, the system builds up to produce healthy, beautiful results. Wash your face with the recommended cleanser, rinse with lukewarm water and gently pat dry. Avoid rubbing your skin with a towel. Put the Toner on a cotton pad and apply to yout entire face. Do not rinse. Measure the product as directed by aesthetician and apply evenly on your entire face, extending to the hairline, over the ears and ending with a feathering motion. Wait 2 minutes and apply a second coat over dark spots. Note: If you have dark skin, use Clear on your entire face once a day, preferably in the morning, and apply at night only on the darkest areas. Once you achieve satisfying results, use Clear only as needed. Measure the product and apply evenly over your entire face, avoiding the eyelid area and lips. Massage until the cream is completely absorbed. Measure 1/2 gram of Blender, followed by the prescribed amount of tretinoin. Combine and apply evenly on your entire face, extending to the hairline and ending with a feathering motion. Avoid Eye area unless directed otherwise. Note: Avoid the corners of the lips and creases around the nose. At the beginning of your treatment your skin may be sensitive and have reactions, such as becoming red, dry and itchy. If this is the case, using the Control products, when necessary, will help you comfortably reach your skin goals. Eventually, your skin will become more tolerant. The Control products should be applied before using the sun protection products. Elastiderm Eye Cream - Recommended to use twice a day to take care of the thin skin around your eyes. Action - Spot treat only where your skin is uncomfortably dry. Where can Obagi be used? 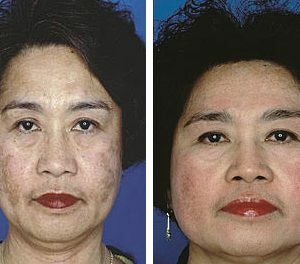 How does the Obagi System work? The Obagi Nu-Derm System penetrates to the deepest layer of the skin to correct signs of aging. Old, dead skin cells are sloughed off and replaced with fresh cells. Itching, dryness and redness indicate that your treatment is working. 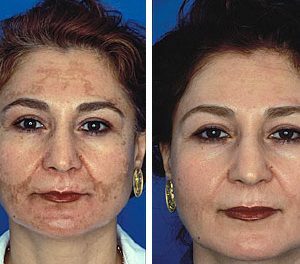 This phase lasts approximately 6-8 weeks and you can expect more even-toned skin as pigment cells begin to become balanced. Your skin begins producing normal, healthy cells. Healthy new cells are pushed to the surface faster. 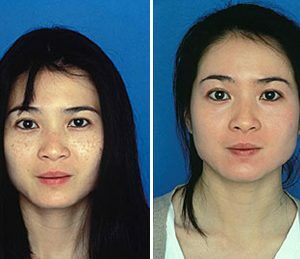 Pigment cells are distributing melanin more evenly. Collagen and elastin production is stimulated. Your skin begins to tolerate the treatment and reactions subside. This phase lasts approximately 6-8 weeks and you can expect smoother, softer skin as its natural rhythm of renewal is regained. Skin cells are in the process of Transformation. Layers of the skin receive an increased supply of nutrients and blood flow. Healthy, strong collagen and elastin production continues. Skin is smooth, naturally hydrated, evenly coloured and more resilient. 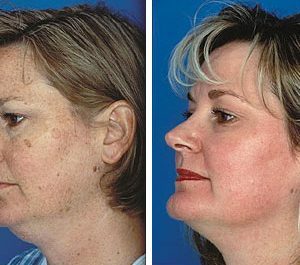 This phase lasts approximately 6-8 weeks and you can expect to see the skin becoming firmer and tighter with improved clarity and a healthy glow. The Obagi Nu-Derm System has Transformed your skin! Now, your goal is to make it a permanent part of your daily health care routine. Check in routinely with your skin care specialist to maintain your results long term with the Obagi Nu-Derm System maintenance programmes. 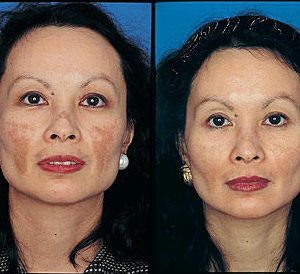 Who can benefit from the Obagi Nu Derm treatment program? The Obagi Nuderm product line is generally dispensed in a physician's office but there are several products in the line that do not require a prescription, like the Foaming gel, Obagi Toner, and Obagi Exfoderm. At the London Medical and Aesthetic clinic, we will dicuss your individual skincare needs, and help you customize the system to help you achieve your skin care goals. The Obagi skin care range can dramatically improve aged skin. Skin aging is a natural process, but daily sun exposure can contribute to premature aging, slowing down the turnover of skin cells between healthy new cells and old damaged cells. Obagi also has a range of products which suit normal to dry skin types and sensitive skin types also.These will be discussed in your consultation. 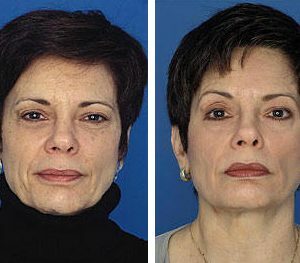 The Obagi Nu-Derm System can transform you, giving you healthier, younger looking skin. Prepare - Removes impurities and adjusts pH to prepare your skin for the optimal penetration of theraputic ingredients. Severe long term side-effects are very rare. 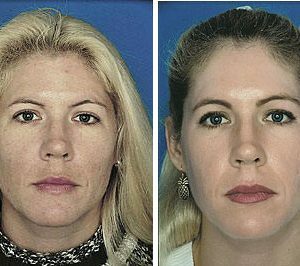 The Obagi system gives second to none results in skin rejuvenation and repair, but there are some short term side-effects that any dedicated patient has to put up with. These include redness, tightness and peeling of the skin, and these can occur even while just using the preparatory Nu-Derm creams. These symptoms are rarely severe and as we always say, the more of a reaction you get, the better the results in the long term. What is Obagi Medical Skincare?